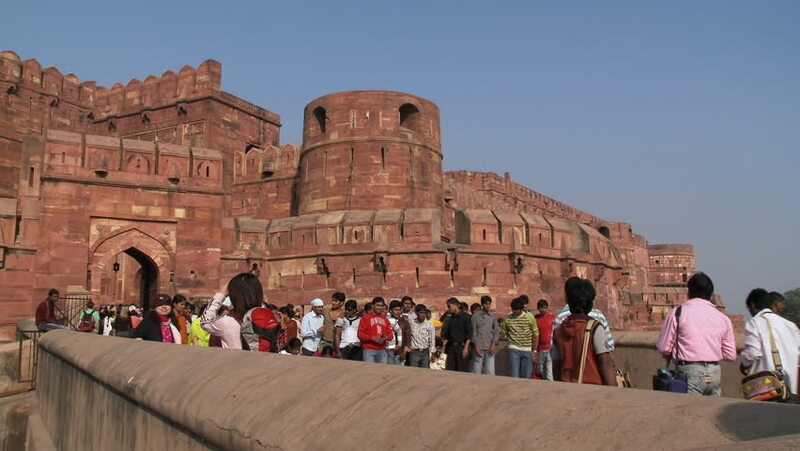 India - CIRCA 2013 - Static shot people approaching the Agra Fort in India. hd00:12AGRA, INDIA 15 FEBRUARY 2018 : Tourists at the entrance of Red Fort in downtown of Agra a UNESCO World Heritage site, Uttar Pradesh, India. hd00:14DELHI, INDIA, 13 FEBRUARY 2018 : Tourists visit the Qutub Minar, Qutub minar is the world's tallest minaret with a height of 72.5 m. and its a UNESCO World Heritage Site.